An increase in investments and exports of goods and services contributed to Greece’s economic growth rate of 1.4 pct last year, the European Central Bank said in its annual report for 2017. The ECB report said that gross investments rose 15.7 pct in 2017, compared with a 3.7 pct increase in the Eurozone, while exports grew 6.9 pct (4.9 pct in the Eurozone). Private consumption edged 0.1 pct up, in comparison with an 1.6 pct increase rate in the Eurozone, while imports grew 7.2 pct and 4.4 pct, respectively, and public consumption eased 1.1 pct (it grew 1.2 pct in the Eurozone). 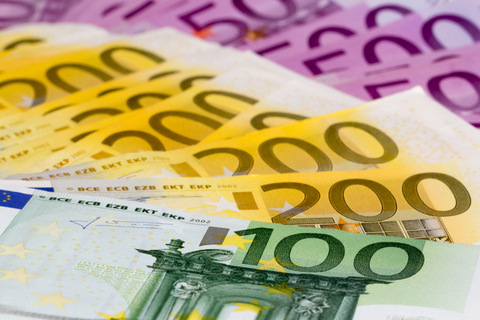 The Eurozone’s GDP grew 2.3 pct last year, while Greece’s per capita GDP in current prices and purchasing power exchange rates was 19,900 euros in 2016 compared with an average 31,700 euros in the Eurozone. Luxembourg recorded the highest per capita GDP (77,600 euros), Latvia recorded the second lowest (19,400 euros) after Greece. Employment in Greece grew 2.1 pct in 2017 (up 1.6 pct in the Eurozone), while labour productivity fell 0.8 pct (up 0.7 pct in the Eurozone). Labour cost per product unit grew 0.9 pct last year, the same as in the Eurozone, while average worker pay rose 0.1 pct (up 1.6 pct in the Eurozone). Greek enterprises’ debt (non-financial companies) in 2016 totaled 63.9 pct of GDP (107.7 pct in the Eurozone), while Greek households’ debt was slightly higher (60.7 pct from 58.2 pct in the Eurozone). Greek households’ savings rate was negative (-6.8 pct of GDP). In the Eurozone it was 12.1 pct. Greece recorded a surplus of 0.5 pct of GDP in its general government balance in 2016, compared with a deficit of 1.5 pct of GDP in the Eurozone, while the country’s primary surplus reached 3.7 pct of GDP (0.6 pct in the Eurozone). Greek enterprises’ (non-financial) average borrowing cost was 4.51 pct in 2017 from 1.76 pct in the Eurozone, while the average interest rate of mortgage loans for Greek households was 2.78 pct from 1.86 pct in the Eurozone. Loans to enterprises fell by 0.1 pct in 2017 (up 3.1 pct in the Eurozone), while loans to Greek households fell 1.9 pct (up 2.9 pct in the Eurozone). ECB noted that the yield spread between regional Eurozone countries such as Portugal and Greece compared with the German Bund fell in 2017, reflecting an improvement in these countries’ credit ratings.